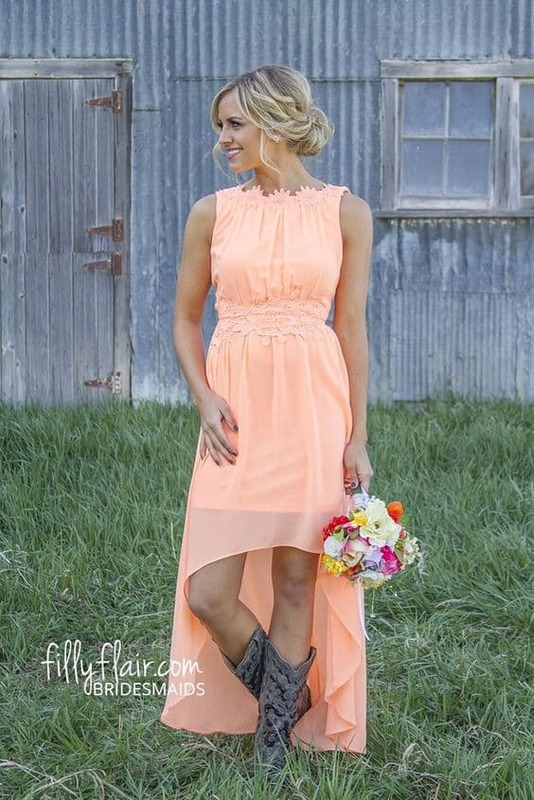 What is the color peach and what matching colors you can wear with it? This is a pure natural shade, which is well suited for office look as for a romantic rendezvous. Peach color is tender and elegant; it is associated with freshness and spring, and is also well suited for summer season. 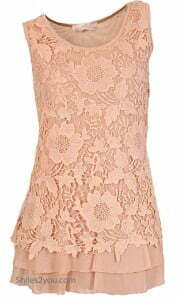 Romantic women are fond of wearing peach. 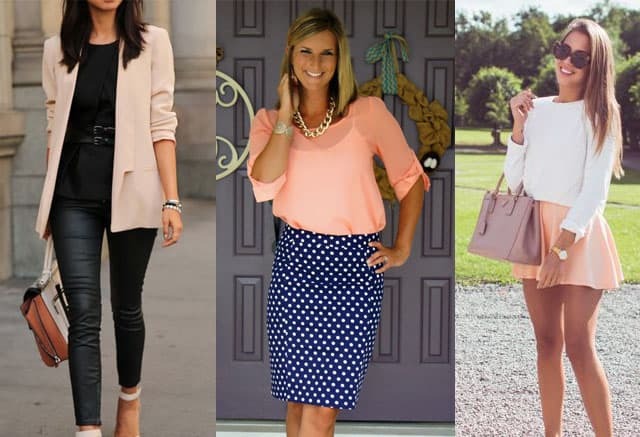 If you want to create an especially elegant, “weightless”, airy outfit, and wonder what color goes with peach, use the matches of peach and mint. Peach pants with a jacket and a mint blouse make a perfect match. Or it can be mint jeans, peach pullover and shoes. Delicate accessories with floral prints will complete the image. If you wish to create a festive mood, pay attention to an inspiring color combo of peach and noble emerald colors. Emerald is at the same time modest and attention-grabbing, it impersonates sophistication and elegance, chic and intelligence. Given this, peach and emerald have much in common. Coral plus peach is another good duet, as these colors are very close to each other. Together they create a romantic feminine image and evoke associations with roses. Other colors that go with peach well are universal white and black, contrast blue, monochromatic orange, as well as with purple, lilac, mauve, and grey of various hues. 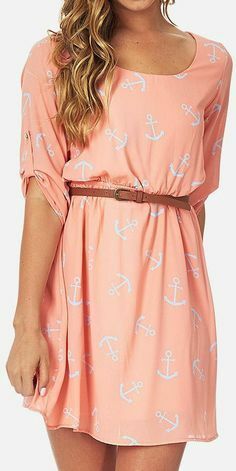 Peach mini dress with anchor printed and brown belt. Romantic and cute image.